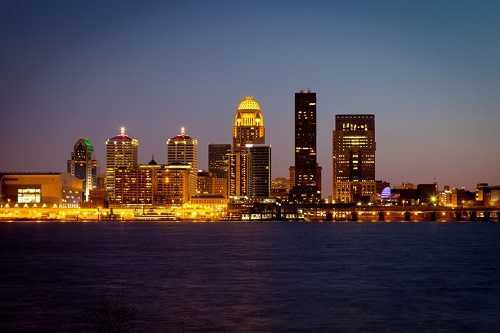 Louisville, Kentucky is famous worldwide for being the home of the Kentucky Derby, a prestigious horse race that first began in 1875. Celebrities and royalty travel each year to be spectators at this exiting competition held the first Saturday in May. But did you know that Louisville offers more than this historical horse race? It is also the home of a variety of performing and visual arts organizations as well as first-class museums. From ballet to opera, this city nestled by the Ohio River has something to please even the most discerning tastes. The Broadway Series provides a host of Broadway touring productions of some of the most well-loved musical theater productions. Each show is presented at the Kentucky Center for the Arts, a state-of-the-art theater where works such as Phantom of the Opera, Rent, and the Lion King have appeared throughout the years. The Actors Theater of Louisville, a professional acting troupe, presents critically acclaimed plays and sponsors the Humana Festival of New American Plays. People of all ages can enjoy productions offered by Stage One, a children’s theater boasting the best of live children’s theater. Many productions are developed from award winning children’s books. Every summer, the Iroquois Park Amphitheater plays host to Music Theater of Louisville, where audience members can view musicals under the stars. Just across the river in Clarksville, Indiana awaits the Derby Dinner Playhouse where the audience enjoys a buffet-style dinner before the start of a professional-quality show. This list of theater groups barely touches the surface of what is available in Louisville. Are you interested in the visual arts? Stop by the Speed Museum, an art museum located on the University of Louisville campus. According to its website, its collection includes works from time periods encompassing ancient Egypt to our modern day. The small fry in your family can head on down to Art Sparks, an interactive gallery in the lower level of the Speed Museum, boasting hands-on exhibits encouraging to children to explore the fascinating world of art. The Louisville Visual Arts Association housed in a historic building called the Water Tower promotes the work of contemporary artists. It hosts various events throughout the year in addition to showcasing the work of local artists. You like museums but art just isn’t your thing? Try the Louisville Science Center, a kid-friendly museum with three floors of fun exhibits that teach kids about the world around them. If History is more to your liking, visit the Frazier International History Museum where in addition to exhibits, you can see costumed historical characters speaking about the times in which they lived. Are you crazy about horses? You need to take time to see the Kentucky Derby Museum, a museum dedicated to the sport of kings—horse racing! By now, everyone knows that Muhammad Ali was born and raised in Louisville. Visit his museum, the Ali Center and learn about the man once known as Cassius Clay and the principles that have guided him throughout his life’s journey. Okay. Are you still not convinced that the River City has a lot of offer? Well, what about this? Louisville has its own professional ballet company, the Louisville Ballet. Each year, the ballet presents word famous ballets from the past and new works from innovative contemporary choreographers. The Kentucky Opera, founded in 1952, is based in Louisville where opera aficionados can get their fix on some the finest operas ever composed. The Louisville Bach Society, a group that focuses on performing the work of Johann Sebastian Bach, is yet another arts organization catering to those who love classical music. They even perform the works of other famous composers such as Mozart and Beethoven. Do you long to hear an orchestra instead of merely choral or operatic voices? Attend a Louisville Orchestra performance. From classical to pops, the Louisville Orchestra plays a variety of music to satisfy patrons who enjoy the melodious sounds of a symphony. As you can see, Louisville offers more than horseracing. Take the time to explore the arts community in this cultured city by the river, and you will discover a place that has long cherished a love affair with music, theater, dance, art, history, and more!